Card Text Tireless Crocag cannot reap. 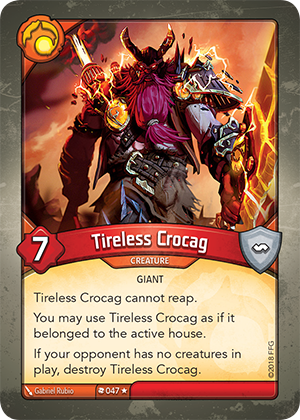 You may use Tireless Crocag as if it belonged to the active house. If your opponent has no creatures in play, destroy Tireless Crocag.